Earth is threatened by humankind. A long time ago, in an effort to help protect her creation, Mother Nature created the Ohana, a worldwide league of shapeshifters, to restore and maintain the natural balance. During particularly troublesome times, she deployed her ultimate defense, a delicate yet powerful golden butterfly, to change the odds in nature's favor. Blooming is the first book in the trilogy about Jason Mendez, a seventeen-year-old living a normal teenage life in a small town in the American Midwest. One day, Jason's world is turned upside down when he realizes the dream he had the night before was in fact reality and that he was flying through a nearby meadow. 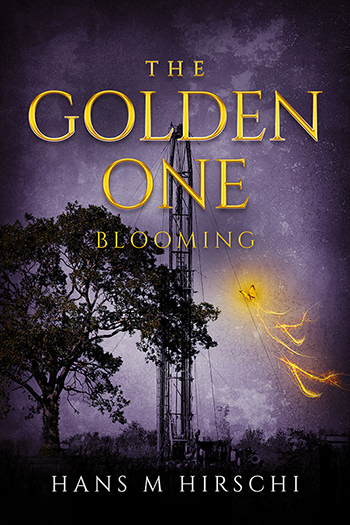 Jason is the Golden One, called upon to avert a major crisis threatening Earth. With no golden butterfly sighted since the final days of World War II, will Jason be able to walk in his predecessors' shoes? Will he be able to replicate their historic achievements and save the planet from all but certain disaster? And what exactly is threatening Mother Nature to call upon the Golden One?